Even though little could harm a Valkyrie, they still took it upon themselves to wear full armor wherever they went. 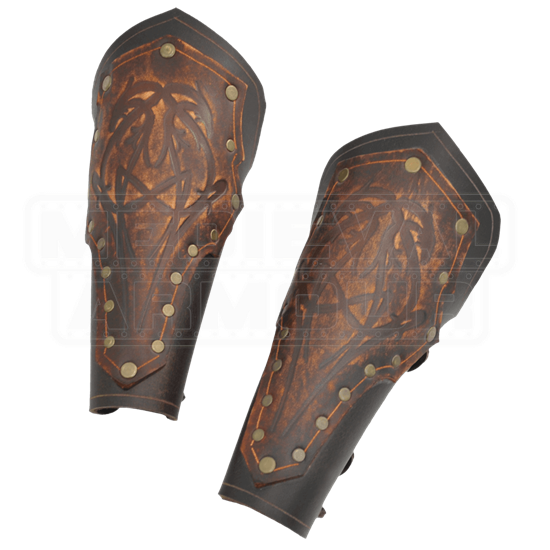 These Valkyries Bracers are a pair of Norse-styled arm-guards that are perfect for any Valkyrie or her einherjar to wear into battle. These bracers are Made from 9/10 oz. Vegetable Tanned Leather and feature a rather simple construction style, although their look is anything but. The bracers consist of simple dark brown leather backing, onto which has been fastened, with bronze rivets, a more rich brown leather plate that has been engraved with ornate Norse knotwork patterns that are reminiscent of serpentine dragons. These bracers are designed to cover the forearm and are worn via grommets and lacing. They are available in only one color, although with such rich and beautiful coloration, that is not really a drawback. They are also only available in one size, but, as they lace up and are leather, they are easy to flex and bend, making them adjustable to many different sizes. 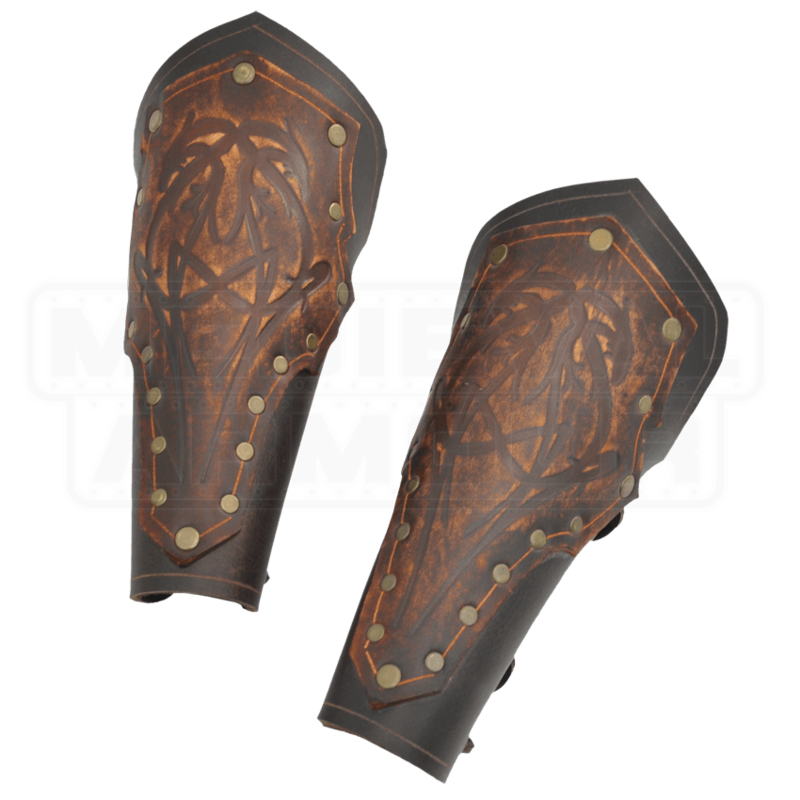 Unlike most of the Valkyrie armor, these Valkyries Bracers are not styled for either a male or a female, but rather, feature a dose of Norse style that is fit for any warrior!